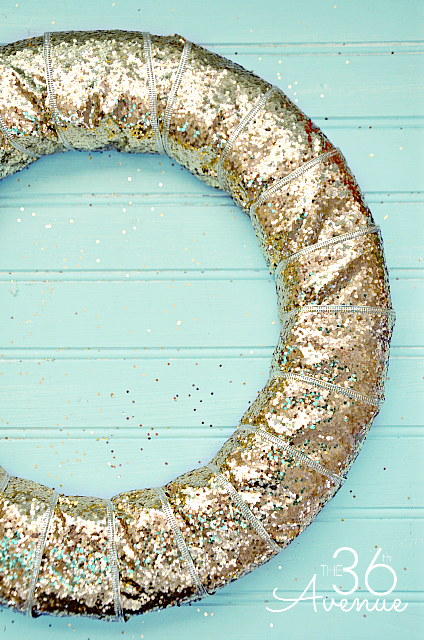 I’ve been waiting for November to arrive to share with you my first DIY Christmas Wreath of the year! I love Christmas, it is my favorite Holiday and it is the only Holiday when I decorate pretty much every corner of our home. I am kind of a traditional girl when it comes down to Christmas Decor and I am so happy that gold is back! Today I am sharing with you one wreath three different ways , so you can see how easy it would be to customize your own. 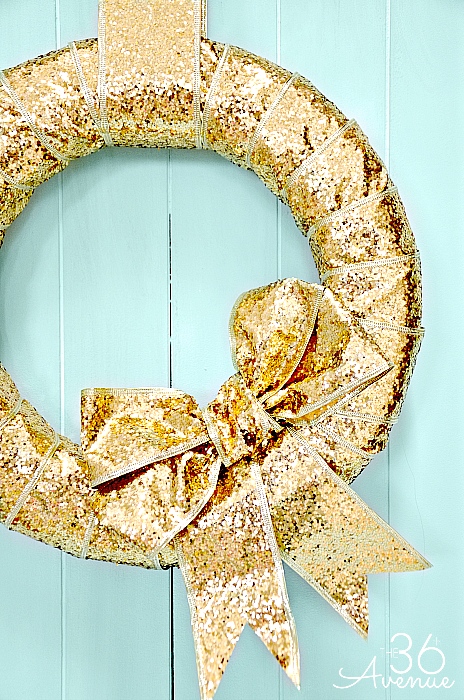 I love this simple wreath for any occasion. I think it would look fabulous during the Christmas Season and then for New Years! For the second look I wanted to make something fun but timeless, traditional but modern, elegant but cute. next wreath that I made thinking of you. Let me show you what you are going to need to make your own. 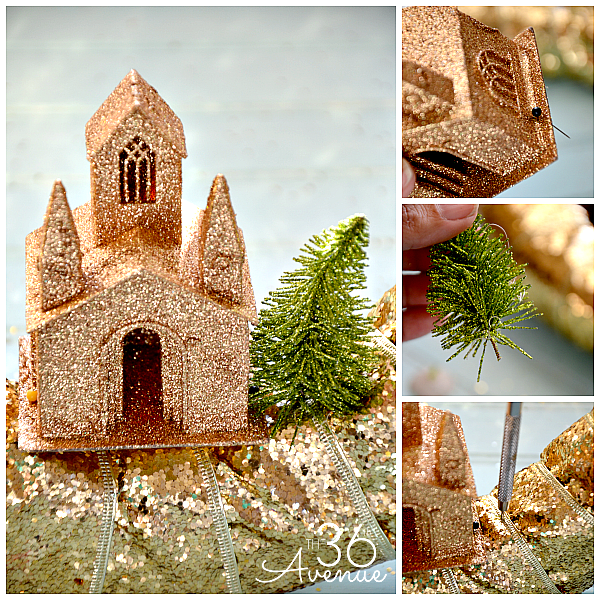 Pins, scissors, and embellishments such as ornaments. Frank Sinatra singing Christmas Songs. 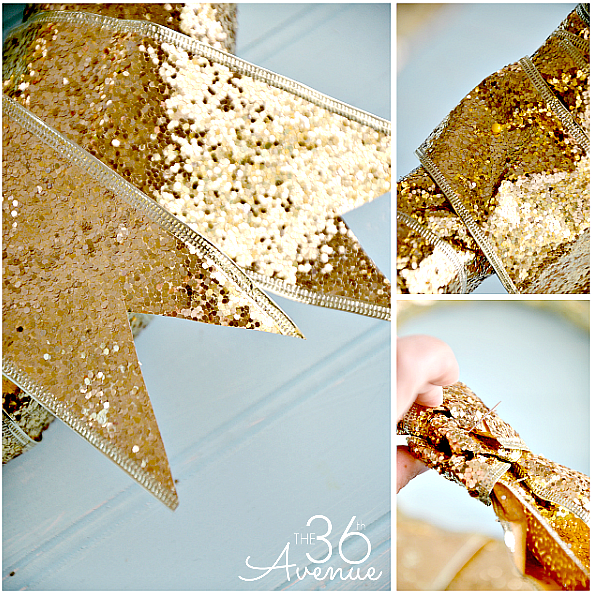 Secure one end of the ribbon to the wreath using pins and start rolling the ribbon around. I like to keep adding pins here and there to make sure the ribbon stays in place. 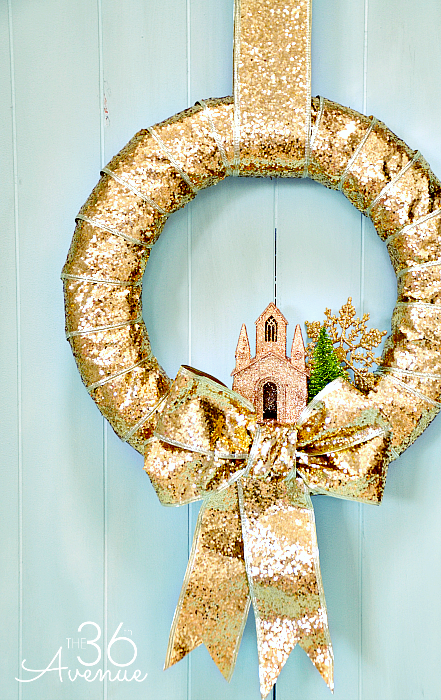 Put your wreath aside… it is time to paint. 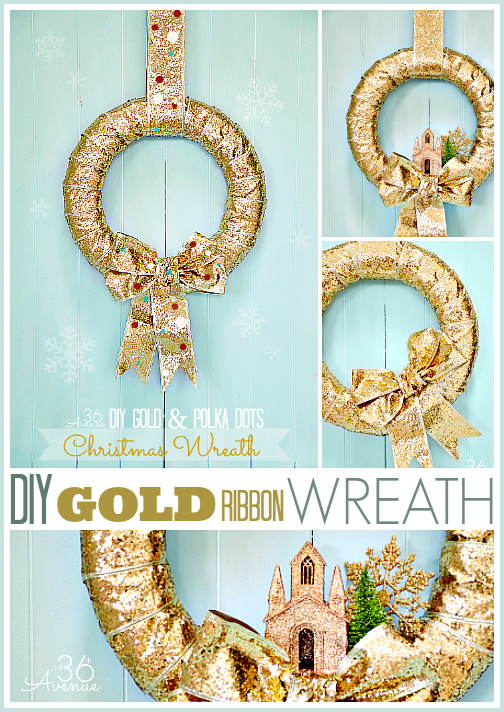 Cut the length of the ribbon that you are going to use to hang your wreath. 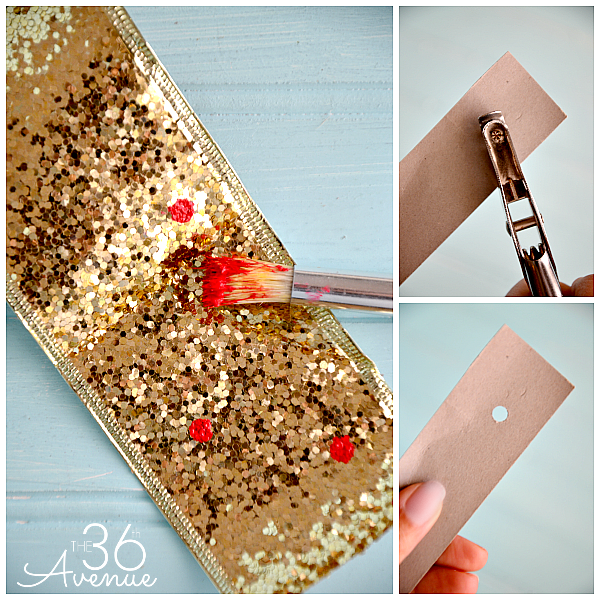 Punch different size holes on a piece of card stock to make your polka dot stencil. Choose where you want your dots and stencil away my dear! Make the bow following the directions here from my bow tutorial. After your ribbon is done stencil it carefully, adding the polka dots where you want them to be. While the paint dries cut two other pieces of ribbon about 10-12 inches each. Trim the ends to make them look like this and stencil it. 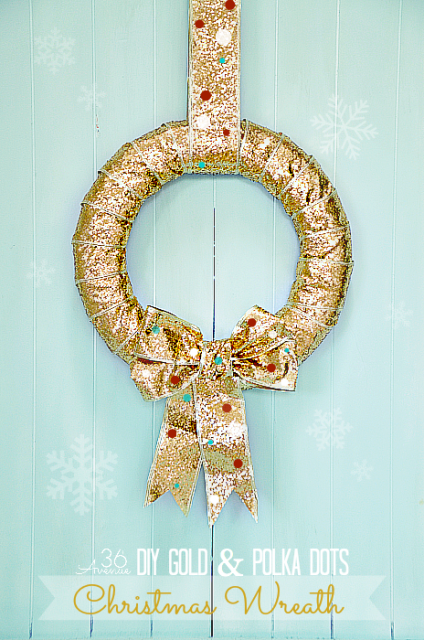 Pin the two long pieces to the wreath and after pin the bow on top. If you like the simple all gold look follow all the steps but the stencilings. I think it would also be adorable with ornaments. 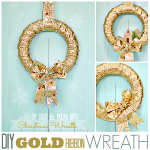 So there you have them one wreath… Three Ways! 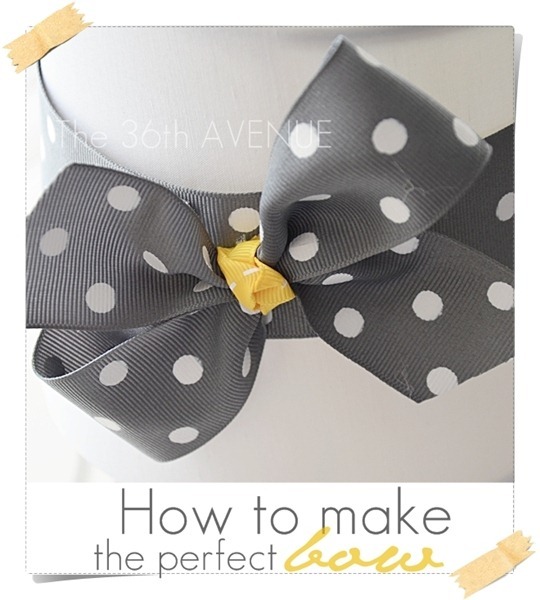 I’ve always struggled making bows … will be checking out the tutorial!!! What a gorgeous wreath!! Love the all of the gold! Beautiful! This is Beautiful. I am doing reds and golds this year and something like this would be perfect.